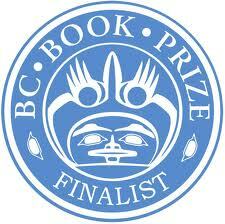 It's just a few short days before I fly to Terrace to begin the Northern leg of the BC Book Prizes Author on Tour. In other words, there has been a lot of guilt-baking going on in this house over the past week. Husband and girls have had pie, pudding and cookies galore. I need to get out of the kitchen before none of my pants fit. So taking Mimi Power on tour is a blessing in more ways than one. I have a huge debt of gratitude to the BC Book Prizes for naming Mimi as a finalist for the Sheila A. Egoff Children's Literature Prize and for giving me a spot on the tour. So it may be that this blog is a bit neglected for a time, as I turn my attention to postings for the On Tour blog. I started tonight. Please join me there for the next week, who knows what's in store?